The APR Modular Boost Tap and PCV Bypass System plugs directly into the intake manifold and makes several configuration options available. 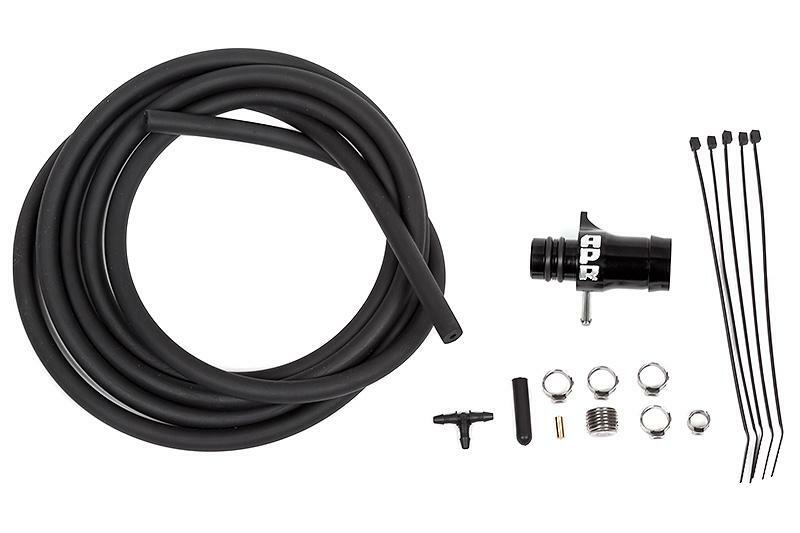 The APR Modular Boost Tap features a tap used for referencing boost or vacuum from the manifold and a cap if this feature is unneeded. A T-junction allows for multiple boost and vacuum references and a ‘no buzz’ restrictor pill allows for proper manual boost gauge operation. The system also includes a threaded PCV plug, allowing the PCV system to operate as intended by the OEM, as well as blocked off if needed for a specific PCV or catch-can setup. Furthermore, temporarily installing the threaded plug allows for quick diagnosis of the PCV valve for boost leaks. This innovative and modular design ensures operation with all boost, vacuum and PCV system combinations, leaving no compatibility worries for future configurations.